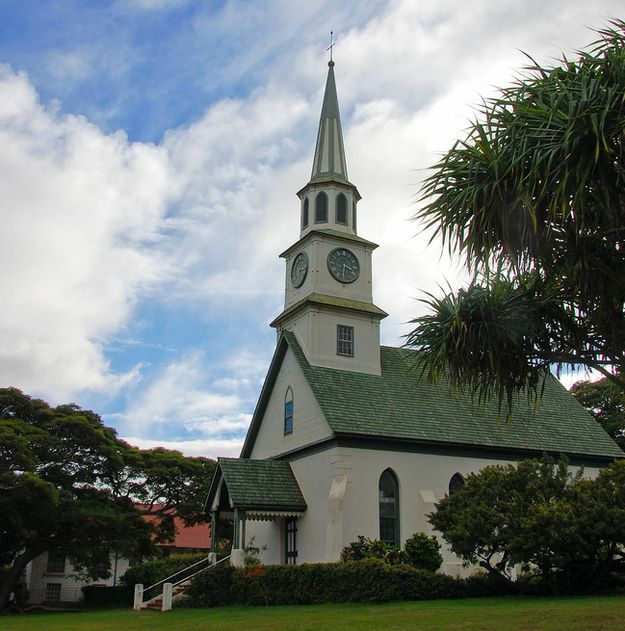 Oahu, just like the other Hawaiian islands, is known for its beautiful beaches. However, the more popular a beach, the more crowded it gets. If you are like us who want some peace and quite while swimming, beach-combing or simply getting some sun, we'd prefer the lesser known beach destinations that have less crowds and offer lots of space on both sand and water. Here are our favorite alternative beaches in Oahu. 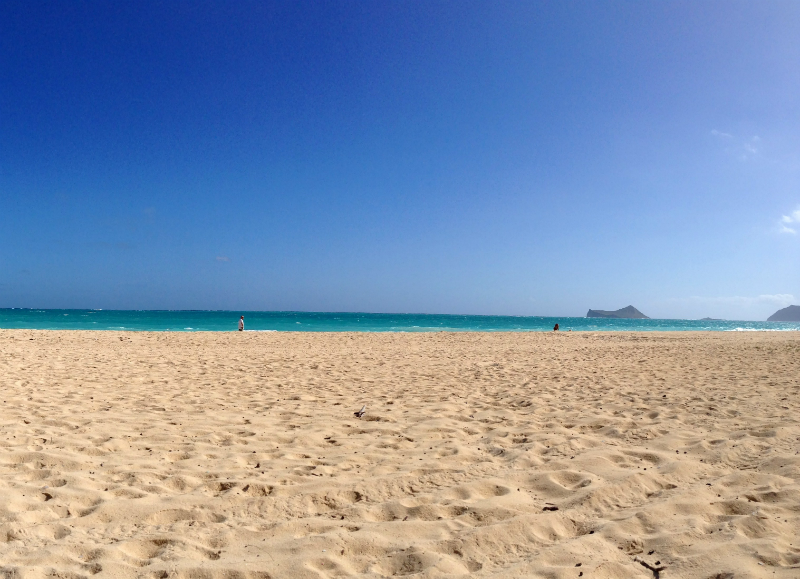 Waimanalo Beach is one of the most beautiful beaches in Oahu. However, it can get crowded here despite its long stretch of sandy shoreline which is over 8 kilometers. 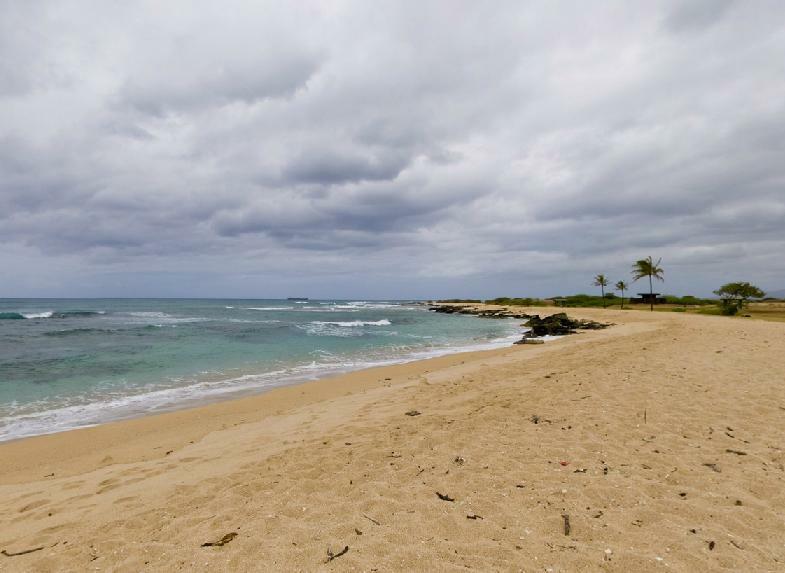 A great alternative is the neighboring Sherwoods Beach (just 100 yards east from Waimānalo Beach Park) which also has fine sand and clear water but without the madding crowd. 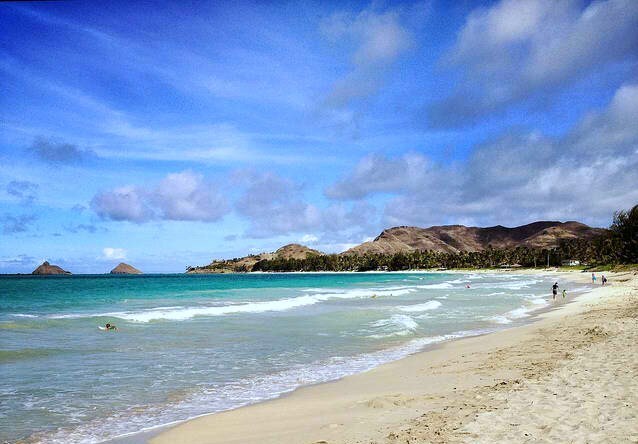 A secluded stretch of sand along Kailua Bay, Kalama Beach is the best alternative to two popular and overcrowded beaches in the area: Kailua Beach and Lanikai Beach. 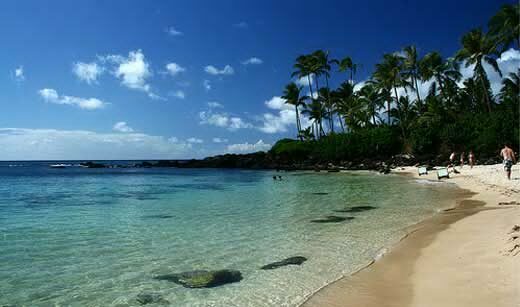 Just like its famous neighbors, Kalama Beach boasts of fine white sand and clear calm torquoise water. The gentle waves are safe for swimming and perfect for beginner surfers and body boarders. The strong winds also make the beach excellent for kite and windsurfing. Kalama Beach is located at 248 N. Kalaheo Ave, Kailua, Oahu, Hawaii. Kaimana Beach is nice but there is a much prettier and an almost always deserted beach at the other side of Diamond Head. If you don't mind hiking up and down the popular crater and prefer spectacular nature vistas, Diamond Head Beach Park could be a great place for you. It features a narrow sandy beach fronted by a rocky shelf. Coral reefs and tide pools offshore are popular snorkeling spots. Beyond the reef, the wave condition offers excellent opportunities for surfing. Diamond Head Beach Park can be accessed via a long paved path down a seacliff that begins just north of the Diamond Head Lighthouse. If you can't find a decent spot at Ala Moana Beach Park, move over to the nearby Sand Island located just down the road. It has a long stretch of sandy beach and an expansive grassy lawn, perfect for picnics and any form of relaxation. The water offers opportunities for swimming, shore fishing and board surfing. 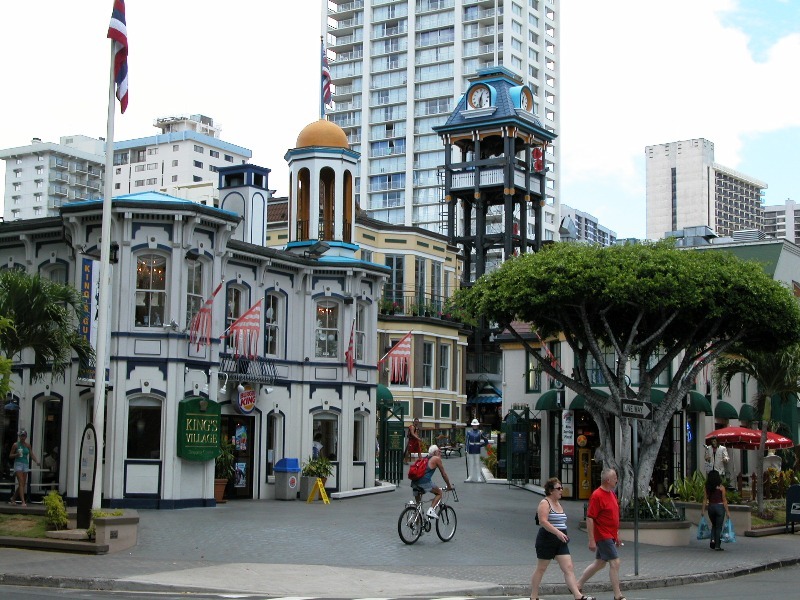 Apart from the spectacular views of the Honolulu Harbor, Waikiki Beach, and Diamond Head, the beach is also known for breathtaking sunsets. Despite all these, this beach remains virtually empty most of the time. The Sand Island State Recreation Area is located at the end of Sand Island Access Road, off Nimitz Highway (Highway 92), in Sand Island, Honolulu. 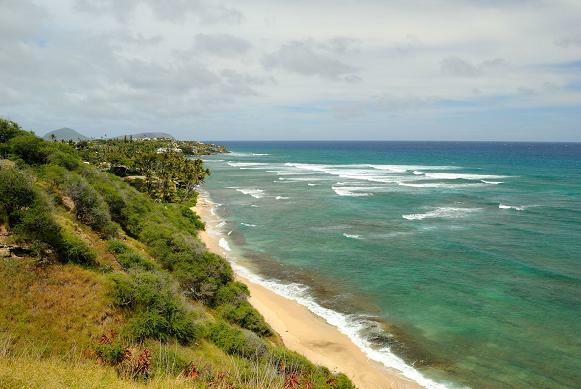 If you are an avid surfer, Chun’s Reef can be a great alternative to the popular but over-crowded Waimea Bay. The beach is known for powerful waves during winter months, providing great surfing opportunities for experienced boarders. Chun’s Reef Beach is also a favorite spot for watching sea turtles which often come ashore.